Awe the wedding dress. Every bride spends lots of time to find that one of a kind wedding dress, going through the different bridal dresses designers, wedding magazines, and bridal stores, often time also spend lots of money when they make their decision on that perfect dress. It is always very important for me to document it differently and perfectly for my clients. Yes, my clients hire me based on my wedding images they see on my website. They love the artistry, I put into documenting & capturing every detail. While all of the bridal dresses designers hire many great photographers to capture their wedding dresses, on a wedding day, we as storyteller must offer our clients, a different compelling image. Many times we find our self in many different lighting situations and places where we capture these wedding dresses. For me, the wedding dress is one that I love to capture and create something different, as you can clearly see in this image. I realized when I positioned the dress there that there were many lighting issues and aesthetics in the house that I did not like. 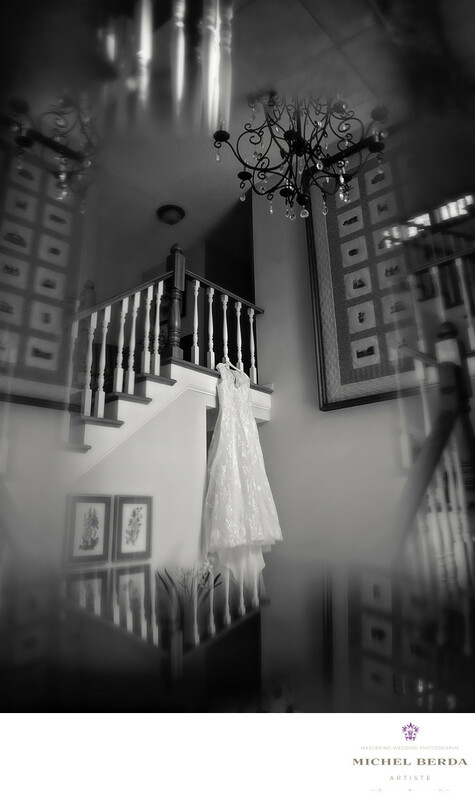 Because of my many years of wedding photography experiences, I chose to make this wedding dress photo that stood out and was unique, with trick photography and the B&W feel, I am truly satisfied with this wedding dress image I created for my client. Keywords: bride dresse (3), bride wedding dresses (3), Charleston (1179), charleston sc wedding dresses (3), Charleston Wedding Photographer (24), dresses wedding charleston sc (3), Michel Berda (1140), photographer (1125), wedding dresses (3), wedding dresses charleston sc (3), Wedding Photographer (1254), wedding photographer charleston sc (15).